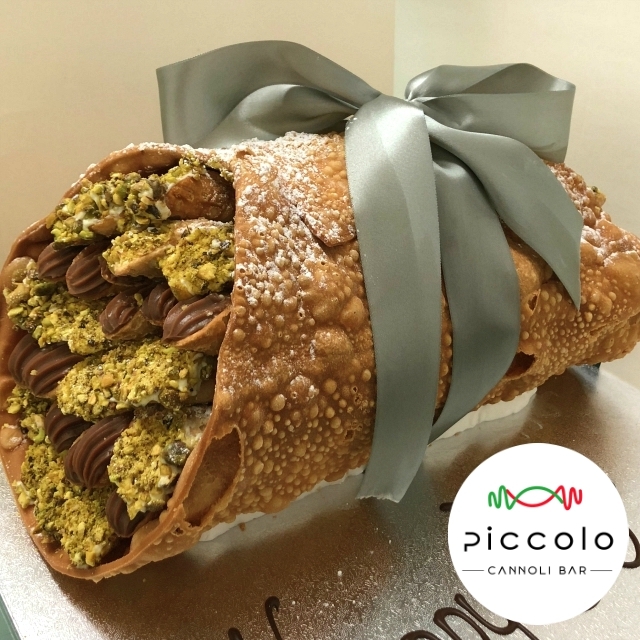 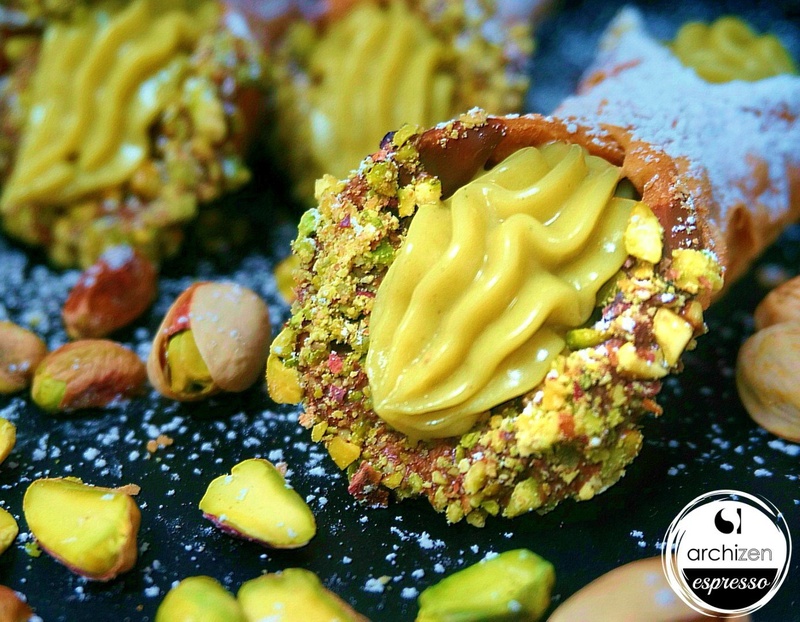 Cannoli - Piccolo Cannoli Bar - Sydney's First Cannoleria! 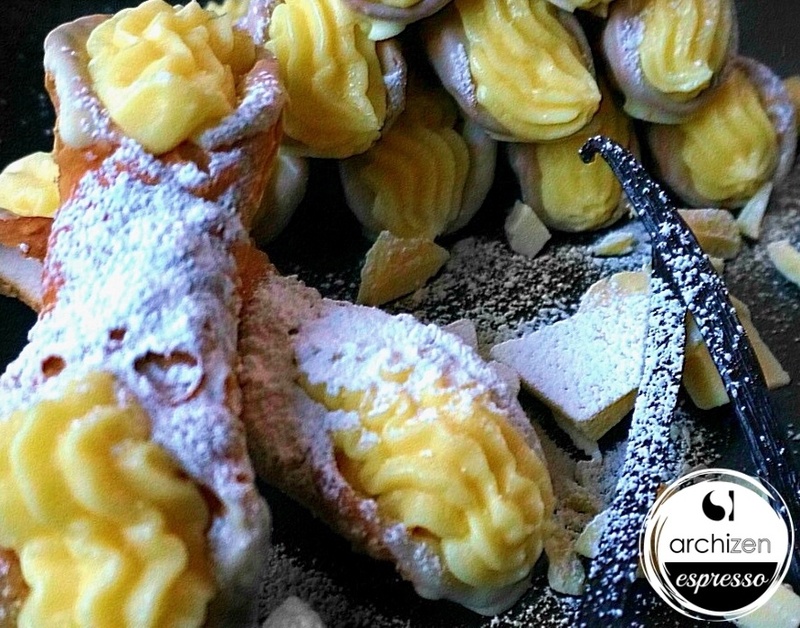 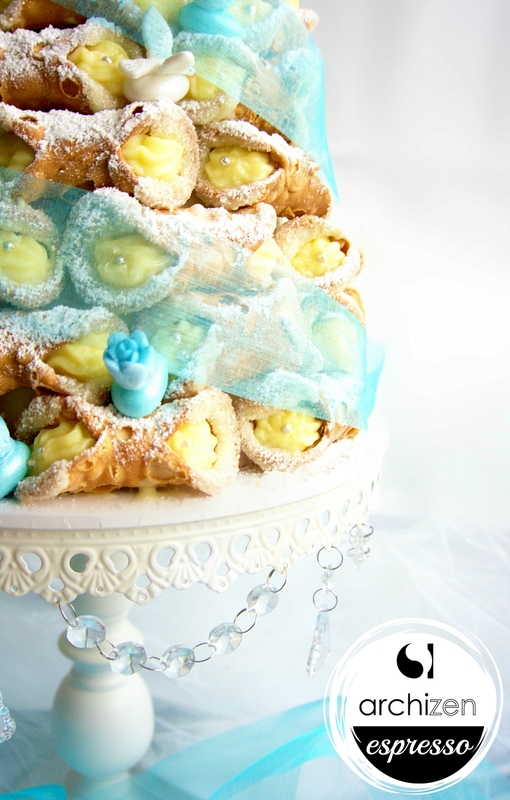 All our cannoli are piped fresh to order in store at 848 King Georges Rd, South Hurstville. 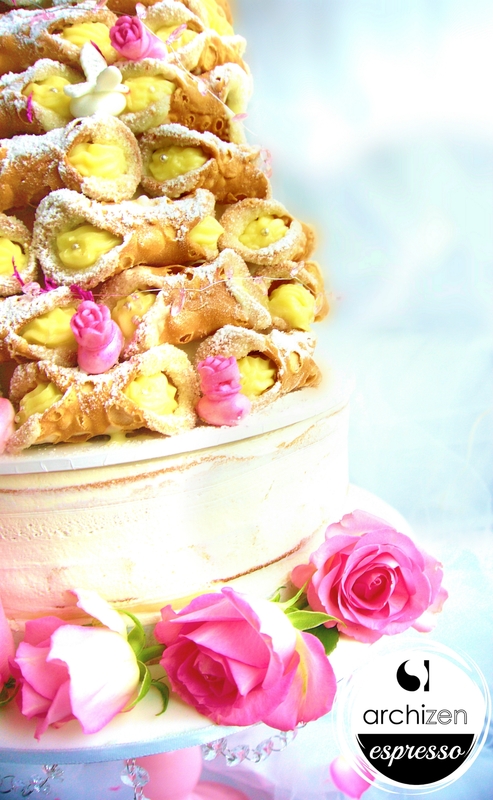 Available with custard fillings only - vanilla, chocolate or hazelnut. 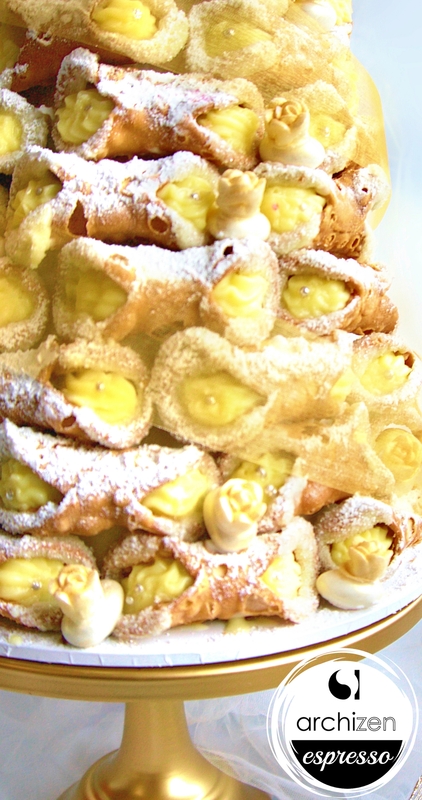 Available with vanilla, chocolate and hazelnut custard plus classic ricotta, espresso, caramel cannoli cream fillings. 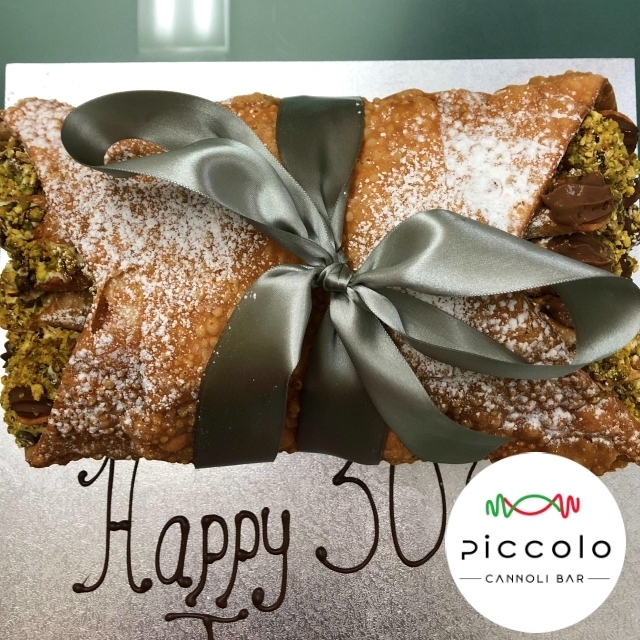 and are fixed to a board with your message written in chocolate. 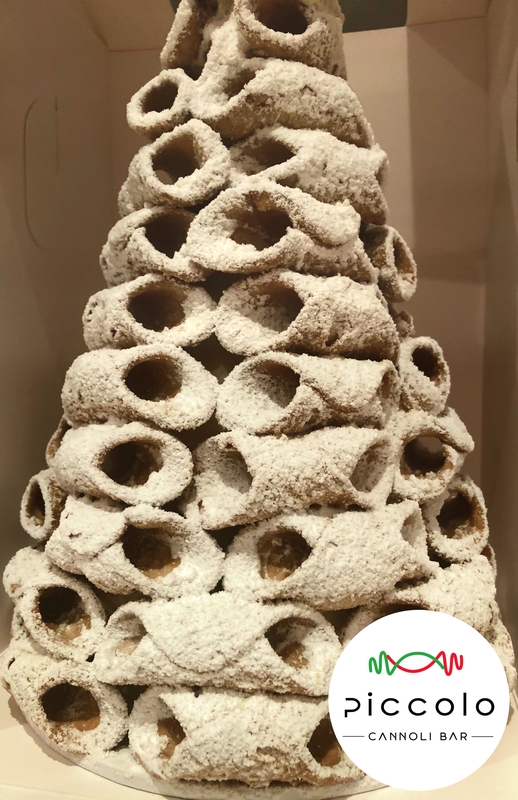 Please note we require 1 weeks notice and a 50% deposit for all Cannoli Towers and Cannoli Baskets. 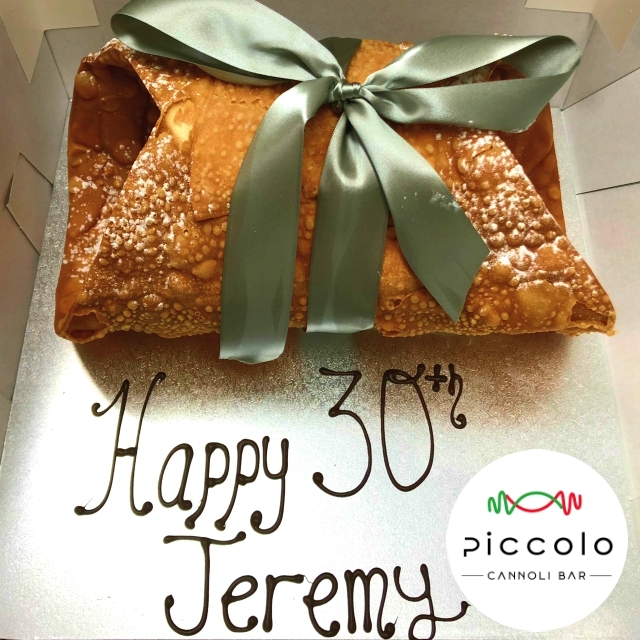 Sorry no delivery - pick up only. 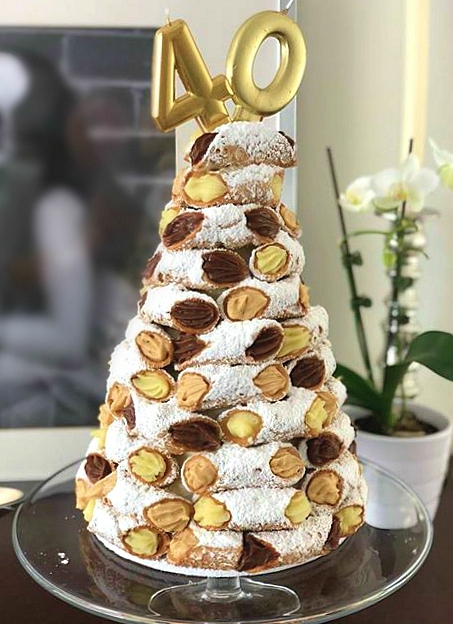 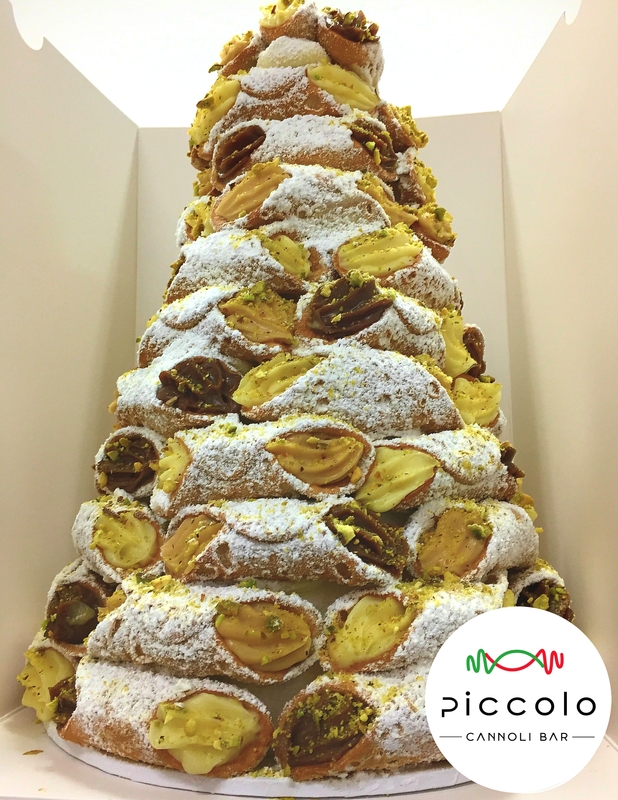 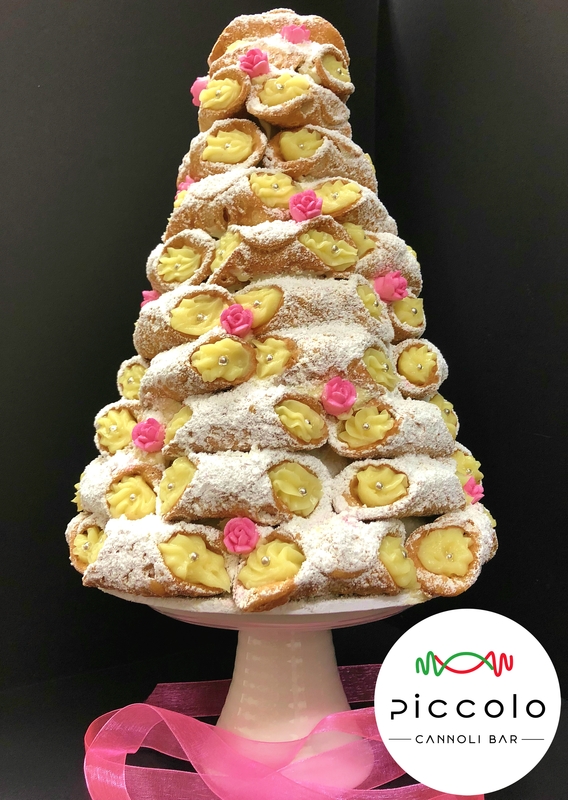 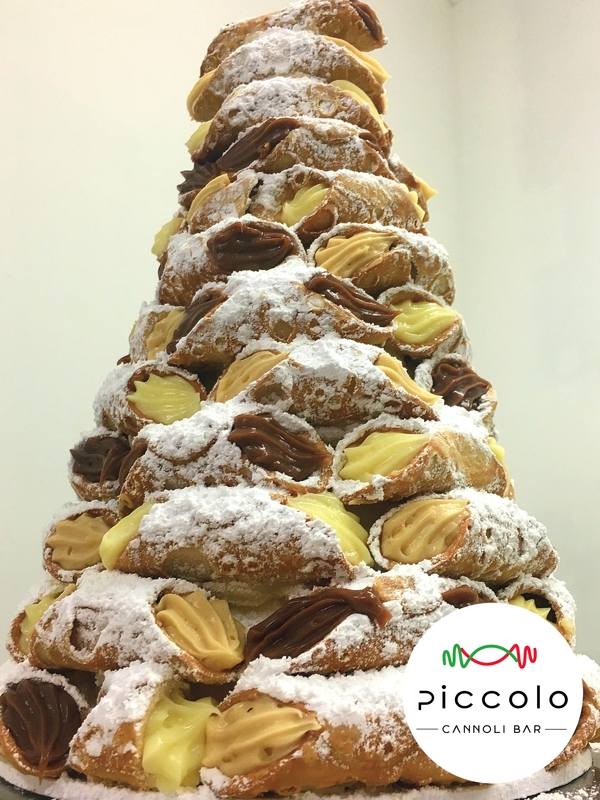 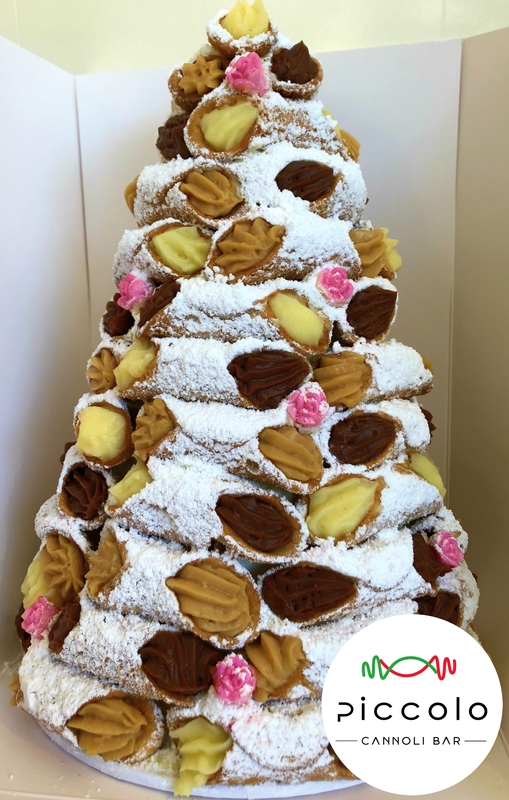 Larger customised cannoli towers start from $390 and need to be ordered in store only.